Quail is a generic term for a number of medium-sized game birds. 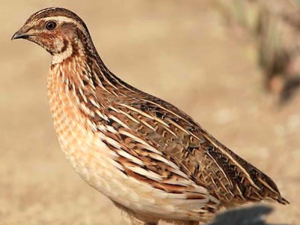 Although some people hunt wild quail, you can also purchase farm-raised quail. 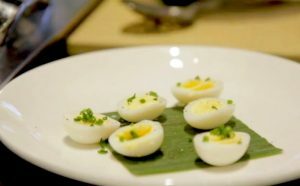 These birds are filled with protein and essential vitamins and minerals, making them a nutritious type of poultry, especially if you remove the skin before eating them and cook them without a lot of added fat. 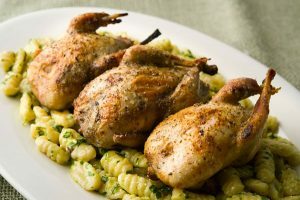 A 3-ounce serving of cooked quail without skin contains 110 calories, 19 grams of protein and 5 grams of fat, including 1 gram of saturated fat. If you consume a 2,000-calorie diet, this amounts to 35 percent of your protein for the day and 6 percent of the recommended fat and saturated fat. Consuming a serving of quail provides you with 35 percent of the daily value for niacin, 25 percent of the DV for vitamin B-6, 15 percent of the DV for riboflavin and thiamine and 10 percent of the DV for vitamin C. The B vitamins niacin, vitamin B-6, riboflavin and thiamine are all essential for turning the food you eat into energy, and vitamin C is an antioxidant that is needed to make collagen, which is necessary for forming bone, ligaments, blood vessels and tendons. 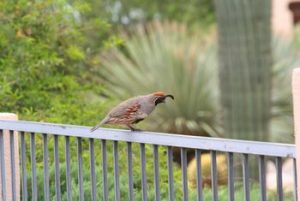 Quail is a good source of minerals, with a serving providing 25 percent of the DV for phosphorus, 20 percent of the DV for iron, 15 percent of the DV for zinc and 6 percent of the DV for magnesium. Phosphorus helps with kidney function, cell growth and strengthening your bones. Iron is necessary to form hemoglobin and transport oxygen around your body, and zinc is important for forming DNA and protein, wound healing and immune function. Wild game, like quail, can have a stronger flavor than domestic meat, and since it contains less fat quail can dry out easily if you don’t cook it properly. The University of Kentucky Extension Service recommends braising quail, but you can also fry, roast or broil it and get good results. Frying is not as healthy as the other cooking methods, since it involves using more added fat. Whichever method you use, cook the quail until it reaches an internal temperature of 165 degrees Fahrenheit to limit the risk of food-borne illnesses.